Enter the URL of the webpage you want to use a source on the prompt that appears then click OK.
You can also click Browse to load a locally saved webpage. Choose to use the webpage’s original resolution or a custom one. 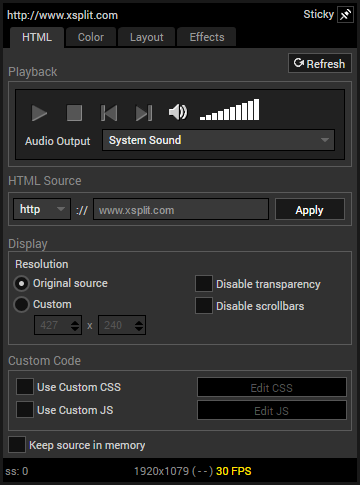 Transparency and scrollbars can also be removed.